The 2018 sailing season is just beginning to warm up, as is the weather – finally! We’ve had a very busy winter getting ready for the new season, including designing our new website – going live soon, reviewing and overhauling our logistics and operations, and hiring a new Events Manager. Richard Moxey joins the Solent Events team as an Events Manager, having crewed for us as a sailing mate over a number of years. Richard’s just returned from a year in sub-Saharan Africa working on government aid projects. 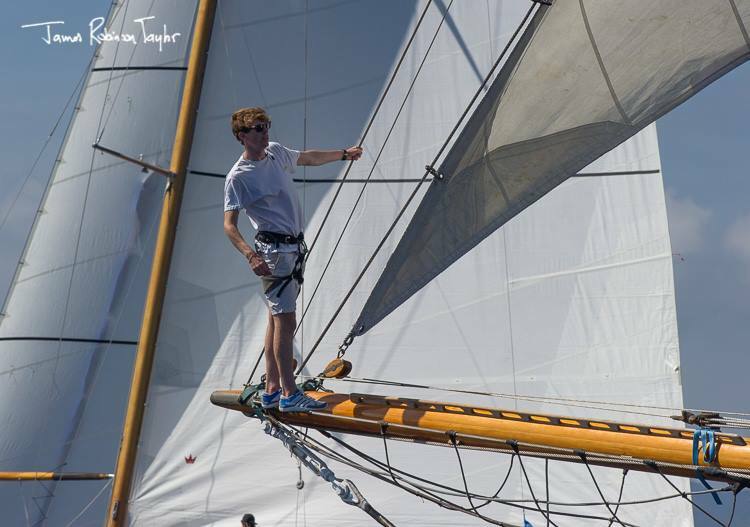 A mad keen sailor and racer, he is a member of the Royal Ocean Racing Club – our Lendy Cowes Week partner venue. A natural enthusiast, Richard has sailed in UK waters and abroad, above photo in Cannes, all his life.